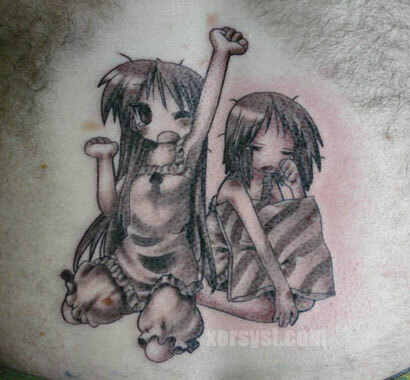 Here’s a fan of Lucky Star for you! Sunsqlit Tattoo did this awesome black & gray tattoo on what looks like a man’s back. While the tattoo is awesome, look at the hair surrounding it. Once it grows back, Kagami is going to have a mouthful of hair!